Enyo Retail and Supply, a customer-focused technology driven fuel retailing company, has announced its focus driven expansion plans in Nigeria with the recent launch of its #FuelledByTrust initiative. The expansion and launch of the initiative aims to solidify its brand identity and revolutionize the downstream retail space. FuelledByTrust is an Enyo ‘1 litre is 1 litre’ initiative targeted at ensuring consumers are provided with their products value worth. Leveraging on the words ‘trust’ and ‘fuel’, Enyo Retail & Supply is reinforcing its commitment as a truly customer focused brand. Its continuous delivery of authentic and innovative products/services is fuelled by positive stakeholder experiences. 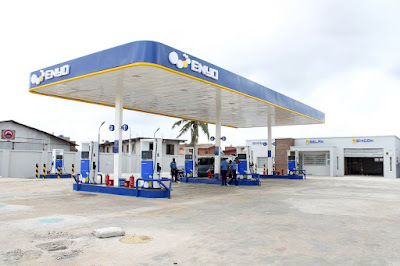 Enyo Retail and Supply currently distributing over 1% of the national consumption of fuel consumed in Nigeria operates in up to 13 states nationwide and serves over to 50,000 customers daily. In 2019, the company plans to further expand its retail outlets, market share and services, while continuing to set the pace in the use of technology in the fuels’ distribution sector, to better serve the Nigerian market. Superior Liquefied Gas (SL-GAS): Distributors of its own brand of cooking gas known as SL-Gas, Enyo currently renders a free delivered to home service in participating neighbours across the country via a mobile app. VEHICON: Vehicle concierge which provides top of the line car maintenance services via qualified and consistently trained auto mechanics. Vehicon also benefits from the technical partnership with local and international original car equipment and spare parts manufacturers. DIESEL2DOOR: This is Enyo Retail’s mobile enabled diesel request and delivery service, capable of delivering within 24 hours at competitive rates across the country. D2D is fast becoming the most reliable diesel delivery solution for homes and corporates as a result of its convenience and quality offering. We are investing profoundly in improving the customer experience at all our points of sale. Our primary determination is to deepen the customer services experience in the fuels retailing industry with the assurance to all customers that at our points of sale and filling stations, a litre is a litre. We seek to be the most trusted brand in the Nigerian market. We are consistently investing in capacity development, sales infrastructure and in our supply value chain to achieve this goal”, he said.